In development for over two years, the Black Falcon PILOT ™ is our own innovative camera stabilization platform, which we proudly incorporate into in-house productions and offer as a service to outside video & cinematography companies. 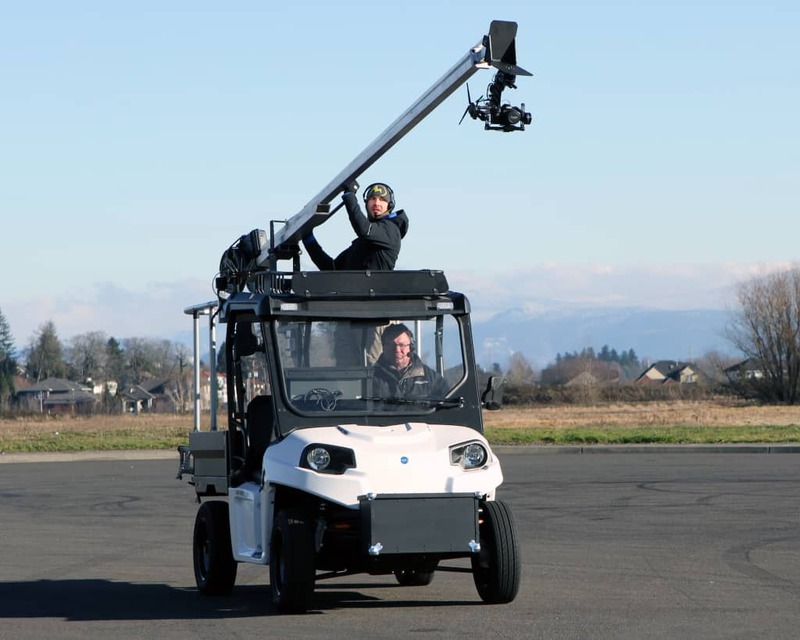 The PILOT is an all-electric, street legal, low speed (25 mph) video production vehicle that fills the duties of camera chase car, mobile jib platform, camera car, insert vehicle and trackless dolly. 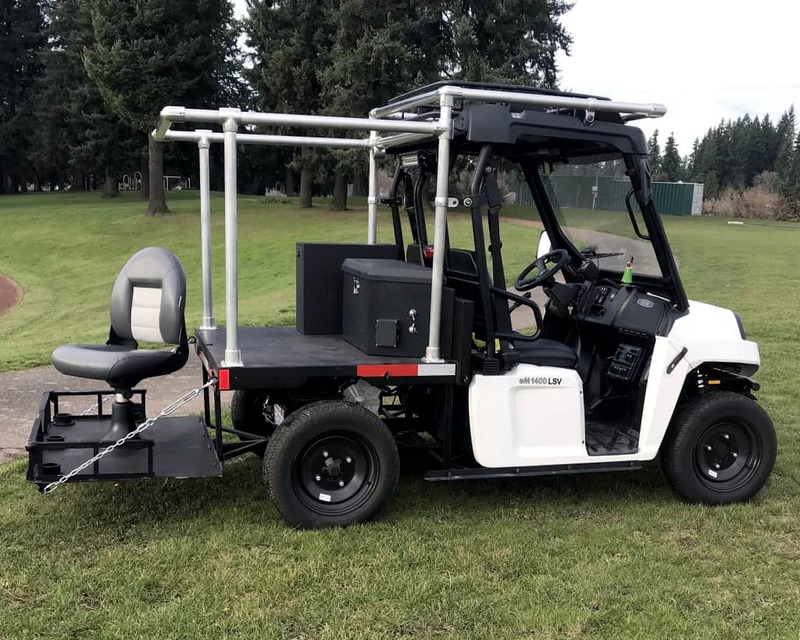 Designed to be used indoors and out, it’s virtually silent, has no noxious fumes, combines our own proprietary stabilization innovations with traditional camera stabilization equipment such as gyro-stabilizers, robotic camera and jib heads and GlideCam® style stabilization systems. 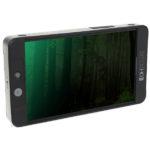 The result is an incredibly smooth camera platform that revolutionizes the art of stabilized camera motion. 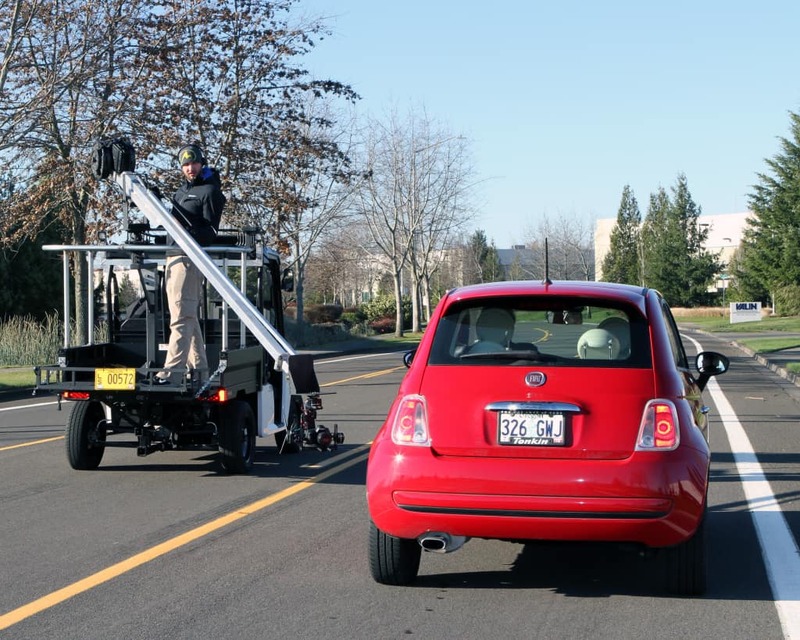 The heart of the PILOT features a vibration dampened shooter’s platform and camera support system that can be relocated to any side of the vehicle in 15 minutes. 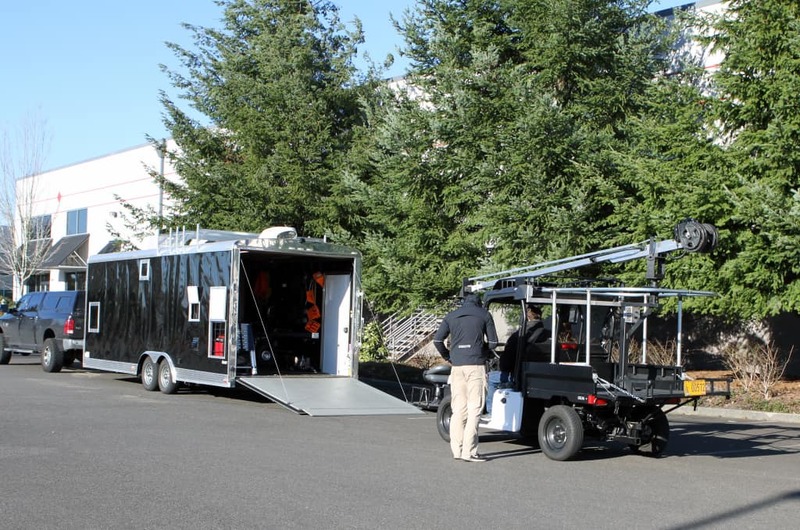 The heart of the PILOT production system is our relocatable camera platform. Our philosophy is that no production should ever be held up waiting for us. 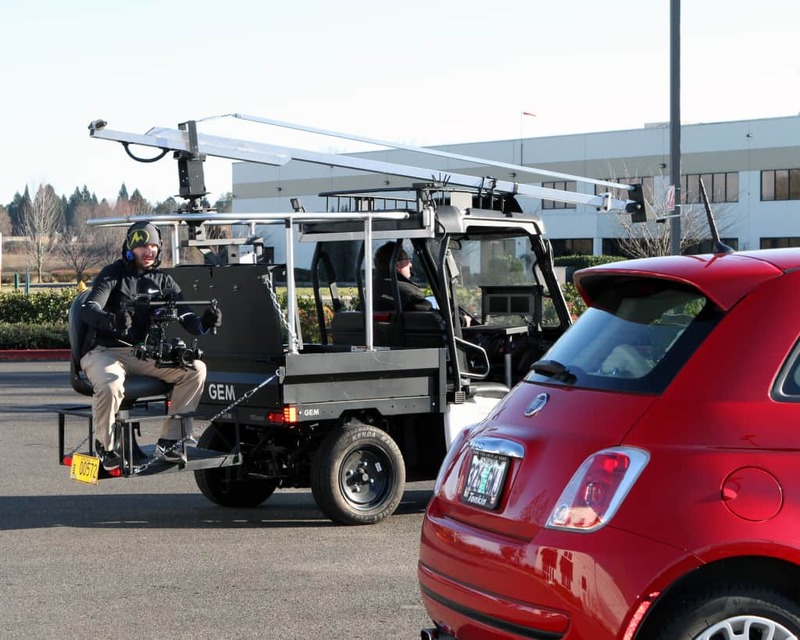 Using our quick mount system, we are able to quickly move the shooter’s platform to any side of the vehicle within fifteen minutes and be ready for the call, “action”. Using our own innovative developments, we have integrated multiple vibration damping technologies into the camera platform. 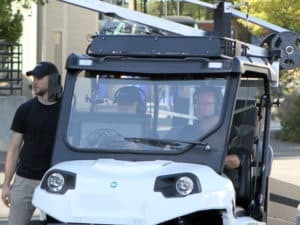 This permits us to isolate the camera system from the vehicle itself, enabling the PILOT to produce an incredibly smooth-motion camera recording. 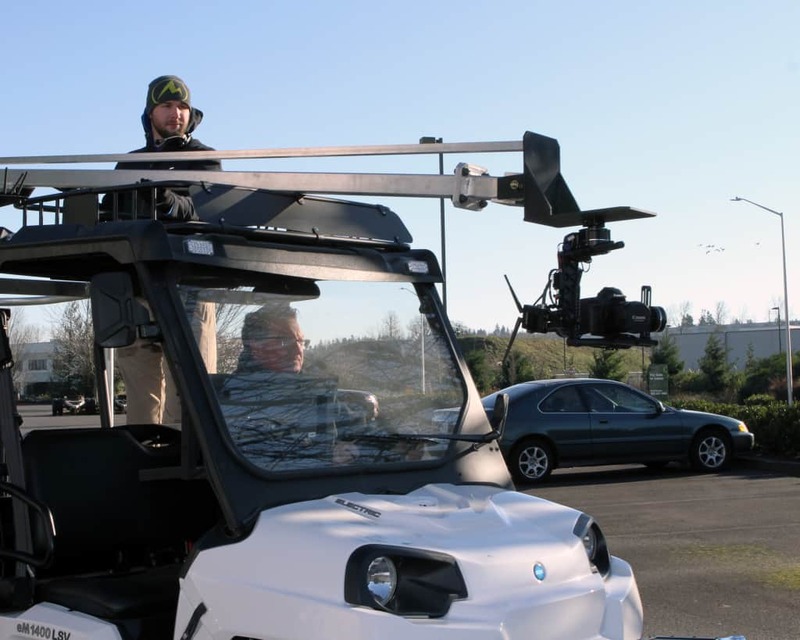 The camera platform is further augmented to integrate even more stabilization apparatus by incorporating the use of traditional devices such as; MoVi® Stabilizers, Gyro Stabilizers, SteadyCam® Technology, GlideCam® Technology and/or robotic camera heads. 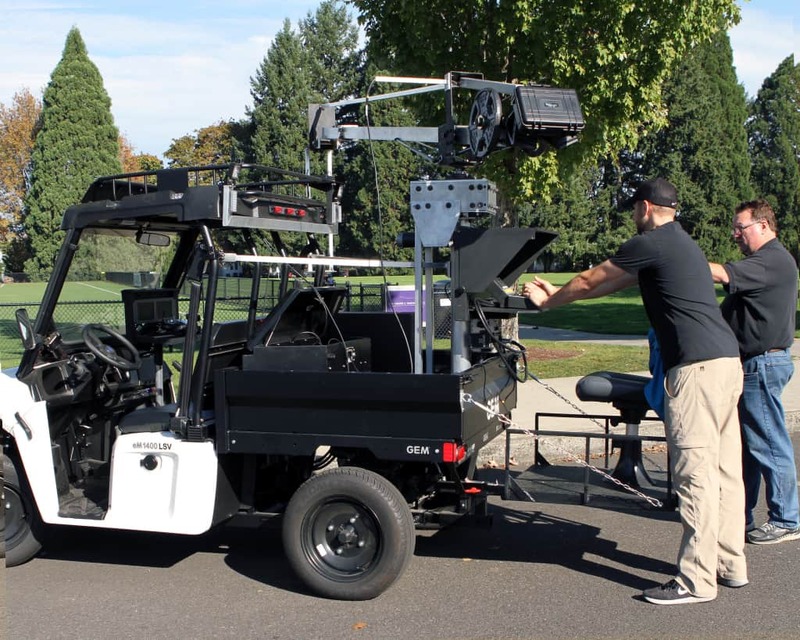 Black Falcon Productions is able to provide several of these devices in our rental package. 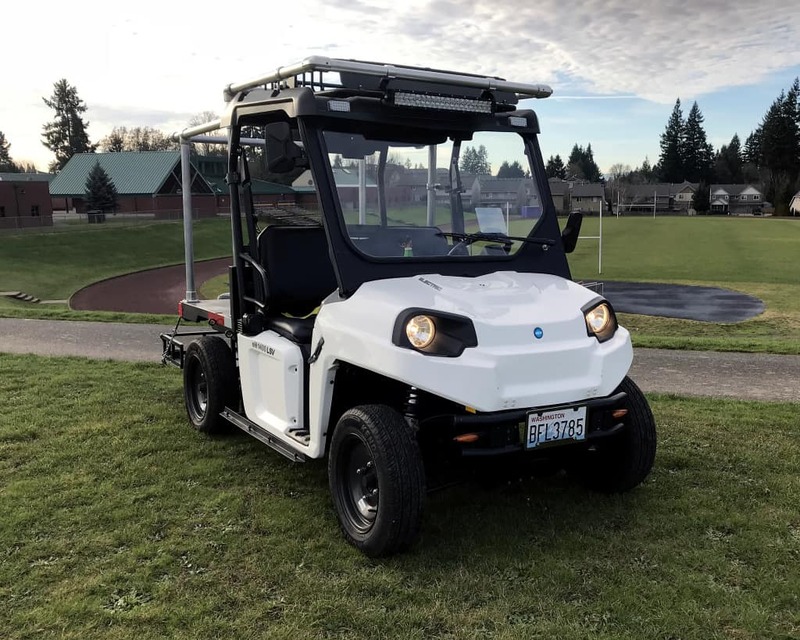 The PILOT is an electric low-speed utility vehicle licensed for street use on city and county roadways posted 35 MPH and under. 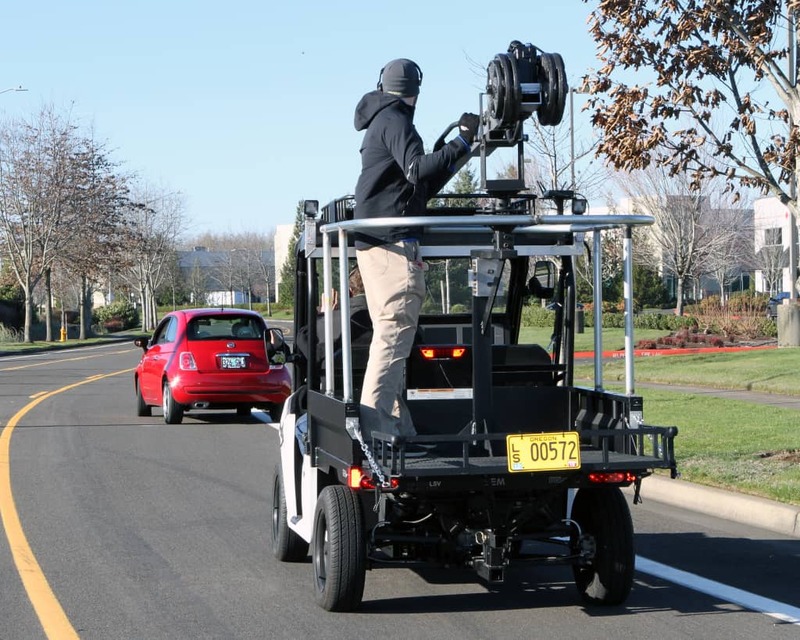 It is capable of moving at speeds from “Dolly style” low crawl speed to Chase Car scenes of 25 MPH. 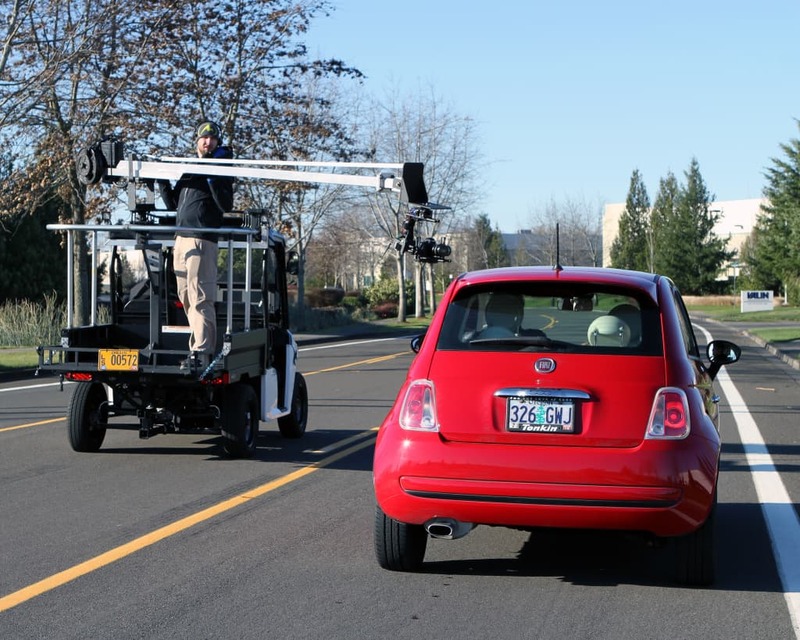 PILOT provides the capabilities of Camera Car, Chase Car, Insert Vehicle, Trackless Dolly and Mobile Jib Platform. 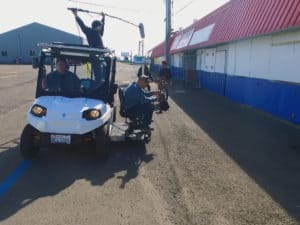 Black Falcon Productions will deliver the PILOT to your location and provide an experienced driver/technician who will assist you with complete setup, camera platform relocation and driving support throughout the duration of the job. 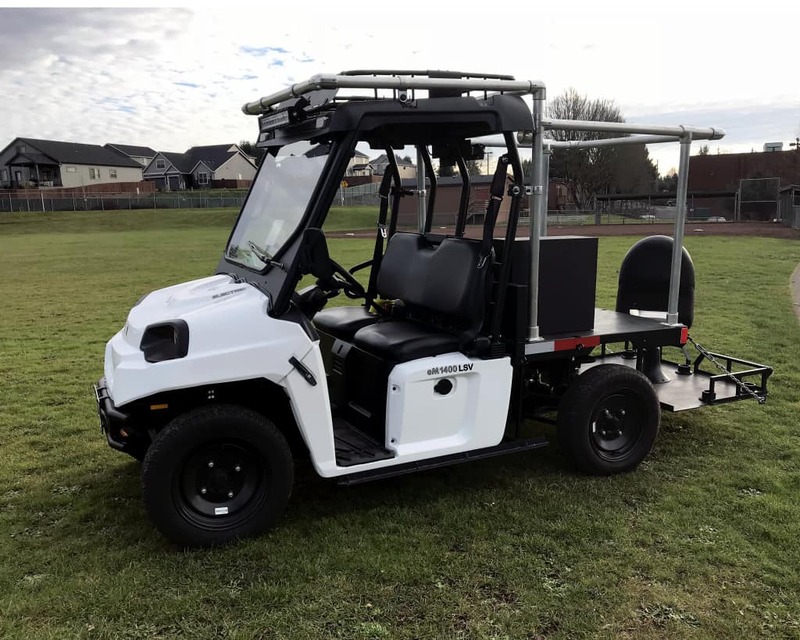 The PILOT carries up to four crew members and features an intergraded intercom system, wireless video transmitters, multiple confidence monitors and incorporates both AC & DC electrical systems to run cameras, recorders, and robotic heads or lifts. 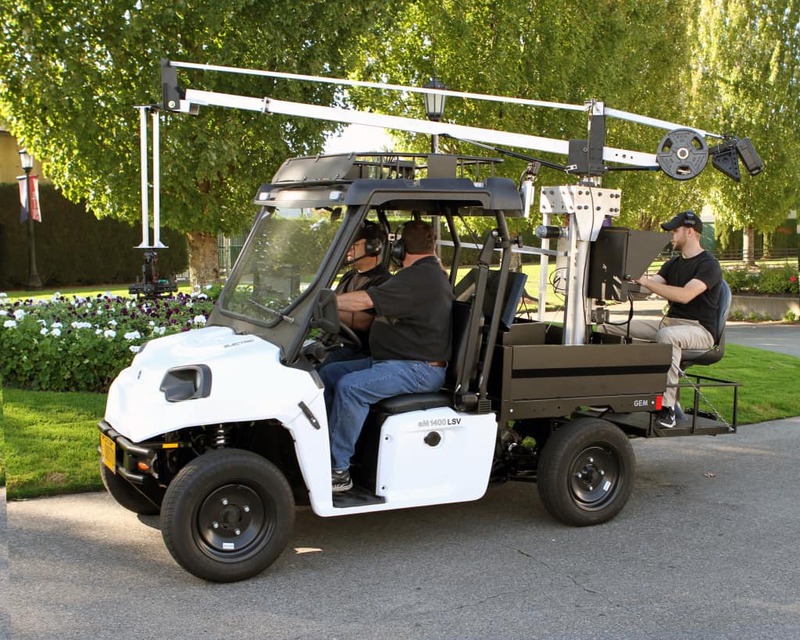 The vehicle can be augmented with an additional 10,000 watts of inverted generator AC to support cinema lighting. 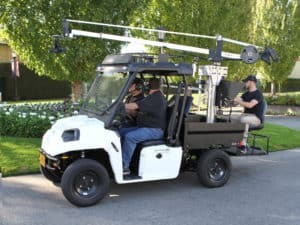 With plenty of room for the driver, camera operator, and focus/audio tech, we also encourage the DP, AD or Cinematographer to jump in and watch the shoot progress on their own supplied confidence monitor. 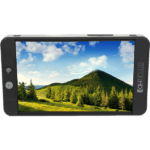 This allows them complete control of the shooting process and affords them the opportunity to fine tune the shot as it progresses, rather than review it after the shot. Everyone is connected to the PILOT. Our integrated intercom system allows up to four crew members to have simultaneous communication inside the vehicle. 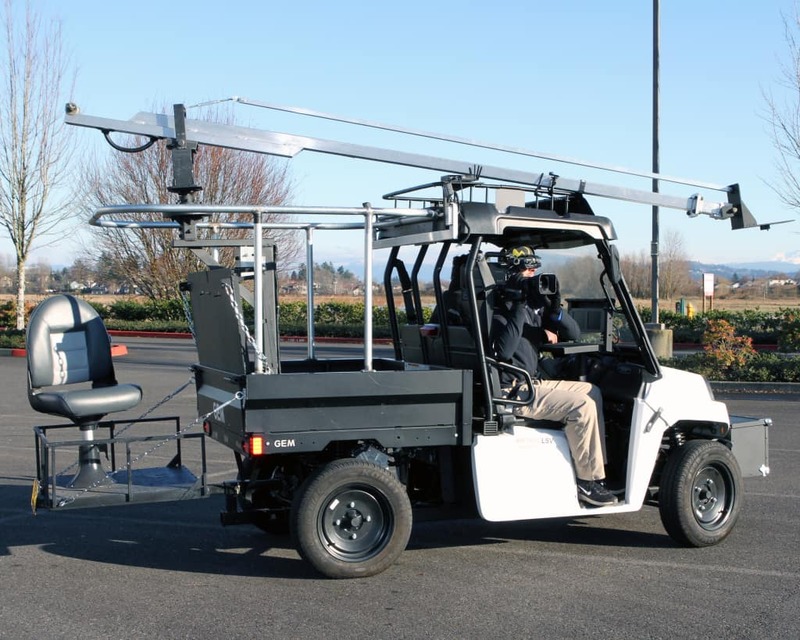 An additional wireless radio system allows communication with outside crew or directors. Three onboard confidence/camera monitors enable the camera operator, focus puller and director to have their own dedicated camera feed. Each monitor can be adjusted individually to suit the viewers need. 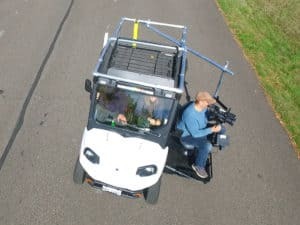 The PILOT is further enhanced with a wireless HD video transmitter system capable of sending the onboard camera feed up to 700 feet from the vehicle where it can be viewed internally in our production trailer or an external monitor. 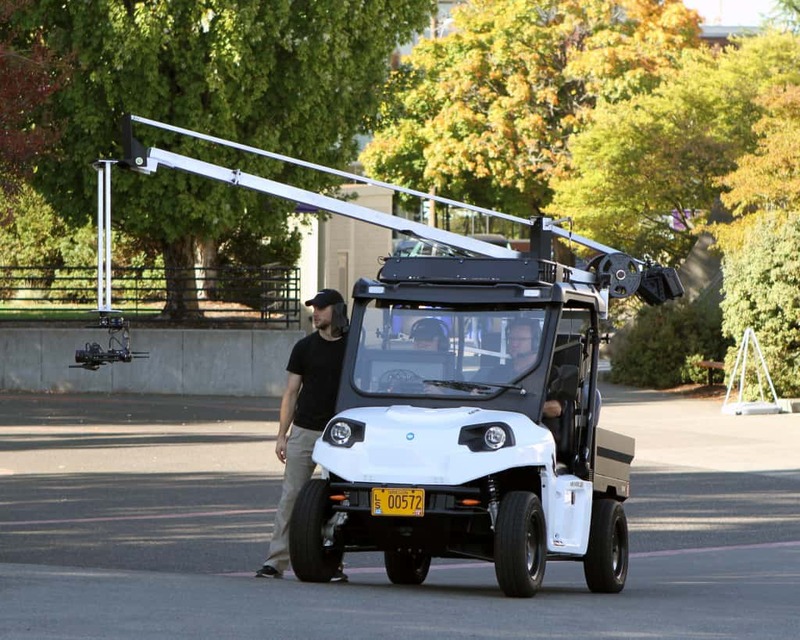 We use both Paralinx Arrow-X and DJI Lightbridge technologies for our wireless transmission. Black Falcon PILOT supports the use of tripods, audio booms, LED lights, scrims, and softboxes. 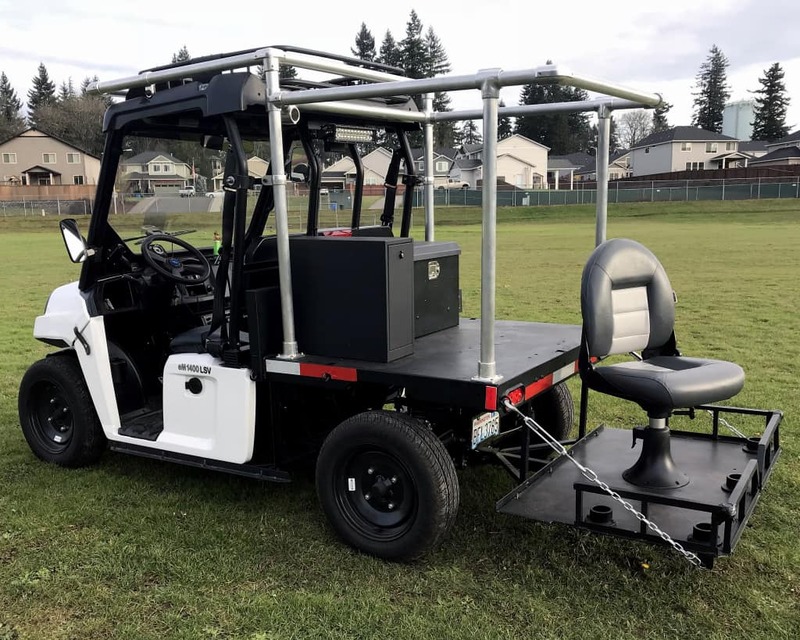 The result is a one-of-kind Video Production Vehicle delivered to your location, saving you time, energy and money in your next production. Call today to see how the Black Falcon PILOT can save you time, energy and money on your next production.